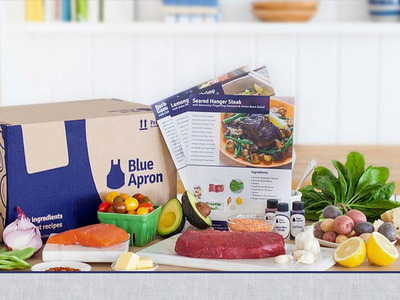 The recipe and meal-kit delivery service Blue Apron could be looking to go public. That’s according to Bloomberg’s Alex Barinka and Kiel Porter, who report that the company has held talks with advisers about various options for raising capital. Blue Apron, which delivers perfect portions of ingredients in a box with a recipe, was valued at around $2 billion in a June 2015 funding round. That round was led by Fidelity Management, while other investors included the venture capital firm Bessemer Venture Partners and First Round Capital. It was used to invest in the company’s supply chain and “farming and fulfillment relationships,” CEO Matt Salzberg told Business Insider at the time. “We’re still a young company but we’ve seen extremely strong demand for what we do,” Salzberg said last June.